The Republic of Korea (RoK)’s Ministry of Foreign Affairs is working on preparations for the opening of a General Consulate in the central city of Da Nang, a famous coastal tourism hub of Vietnam. Local media of the RoK on August 20 quoted an official of the ministry as saying that as the number of RoK tourists to Da Nang has surged recently, the ministry has considered the launching of a consulate office in the city. Currently, the ministry is discussing the issue with other agencies on budget and administrative matters. If all procedures related to budget, human resources, location, infrastructure and equipment are complete as schedule, the RoK General Consulate in Da Nang will be opened in the second half of 2019, said the official. Located between two famous destinations of the ancient imperial capital of Hue and the ancient port city of Hoi An, Da Nang, with a population of 1 million people, has been well-known for beautiful beaches and resorts. 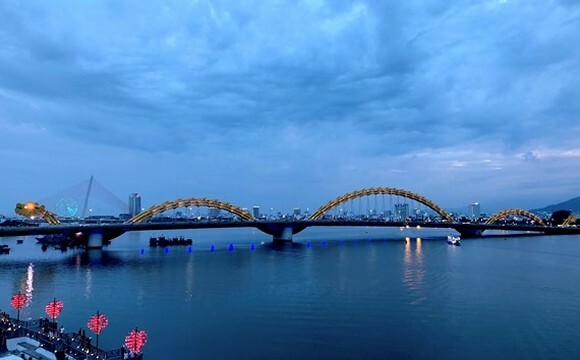 Da Nang was named in the top 10 holiday places in Asia by Smart Travel Asia and top 10 fresh destinations of the global online accommodation reservation provider Agoda in 2013. The US’s New York Times also listed the city among 52 places to go in 2015. The city has recently emerged as a new industrial urban area with various high-tech parks. According to the RoK’s Tourism Organisation, 2.4 million RoK tourist visited Vietnam in 2017. RoK tourists are the second largest group of visitors to Da Nang, with 1 million arrivals accounting for 43 percent of all foreign travellers last year. Investors from the RoK have also poured 604 million USD into 144 projects, the second biggest foreign investment in the city. Vietnamese and RoK budget airlines are operating 12 weekly flights between Da Nang and Korean cities such as Seoul, Busan, Daegu, Pusan and Musan, carrying an average of 1,500 passengers a week to the city.